Marron introduces Coal Ash Task Force resolution. Representative Mike Marron (R-Fithian) introduced legislation on Friday which would create a Coal Ash Task Force to bring together legislators, coal company representatives, environmental experts and the public to study the effects of coal ash on the Vermilion River and the state as a whole. Coal ash contaminants can include arsenic, barium, boron, chromium, iron, lead, manganese, molybdenum, nickel and sulfate, which are known to cause birth defects, cancer and neurological damage in humans and can harm and kill wildlife, especially fish. Marron says the membership of the task force would include two Senators and two Representatives selected by the legislative caucus Leaders, an Illinois Environmental Protection Agency representative, a representative of the Prairie Research Institute at the U of I, a representative from environmental groups, and a representative from the business community. Severe flooding in many parts of Illinois, including Freeport and Rockford areas. In northern Illinois, the Illinois Emergency Management Agency is deploying emergency aid to homeowners and small businesses near the Pecatonica and Rock Rivers and their tributaries. River gauges are showing record or near-record water levels in the annual spring runoff, and hundreds of homes have been evacuated. The Pecatonica River which drains hills in the “Galena Region” of southwest Wisconsin, is posting water gauge levels not seen since 1933. In addition to direct property damage, high water levels could also have an indirect effect on Illinois agricultural production and productivity. Crop sowing cannot be done until the fields dry out, and delays in planting seeds could force farmers to purchase more expensive seed with lower bushels-per-acre yield rates. Meanwhile competing farmers in states such as Arkansas, Louisiana, and Mississippi are already planting their crops for 2019. Other states, such as Nebraska, Iowa, and Missouri, are also seeing damage from the spring flooding event. March 18-22 is Flood Safety Awareness Week in Illinois. Major sports wagering proposals introduced. Illinoisans could see new solicitations to bet money soon, this time on sporting events such as football and basketball games. The proposed Sports Wagering Act, introduced in the Illinois House as HB 3308, would govern the legalized and regulated bookmaking of bets on sports games and contests. Amendments to HB 3308, introduced in the Illinois House on Thursday, March 21, describe how sports betting would be legalized, regulated and taxed in Illinois. These amendments could be discussed in the Illinois House and its Committee on Revenue & Finance next week. Opponents are concerned about how sports betting could potentially spur compulsive gambling, and could entangle young adults who themselves play sports into the betting business. Other states, led by Nevada and New Jersey, have already legalized sports betting. Commission on Government Forecasting and Accountability (CGFA) issues report on state employee group insurance. The report focuses on the growing cost to taxpayers of the health insurance policies purchased by the State on behalf of State employees and retirees. The State Group Health Insurance Program (SEGIP), like all facets of U.S. health care, is affected by growing American health care costs. These costs include not only new treatments and technologies, but also the growing tendency of health care providers to practice strategic cost-shifting. Conscious of their duty to provide care to all patients, including patients without means or whose care is covered by charity-care programs such as Medicaid, health care providers often move facets of the overall cost of health care around. The State of Illinois is one of the entities affected by these cost shifts. Illinois Manufacturers Association (IMA) calls for new moves to aid job creation and workforce development. The business group called for creating additional certainty in Illinois tax law by ending the General Assembly’s habit of switching the key Research and Development tax credit on and off. The IMA also pointed to a growing shortage of certified workers with the technical training to operate complex electronic machinery, and called for apprenticeships and community college programs to create incentives for industry-standardized job training suitable to a modern manufacturing workforce. The manufacturing association’s CEO Mark Denzler pointed out, however, that instead of taking steps to help Illinois high schools and community colleges move students into pathways that lead to valuable jobs with good benefits, the General Assembly is currently looking at increasing taxes on employers and workplaces. Many private-sector Illinoisans work in “pass-through” entities where the tax liability is borne on the individual level by the owners or partners who own the workplace. These businesses are already charged the full Illinois individual income tax plus a supplement of at least 1.5%. The General Assembly, spurred on by the governor, is currently considering making key changes to Illinois income tax law and constitutional status. Under these changes, the “pass-through” income tax rate could go up to at least 9.45%, and the full income tax rate charged to some corporations could go up to at least 10.45% – prior to additional tax increases that could be charged once a swarm of politicians start looking for additional revenue. 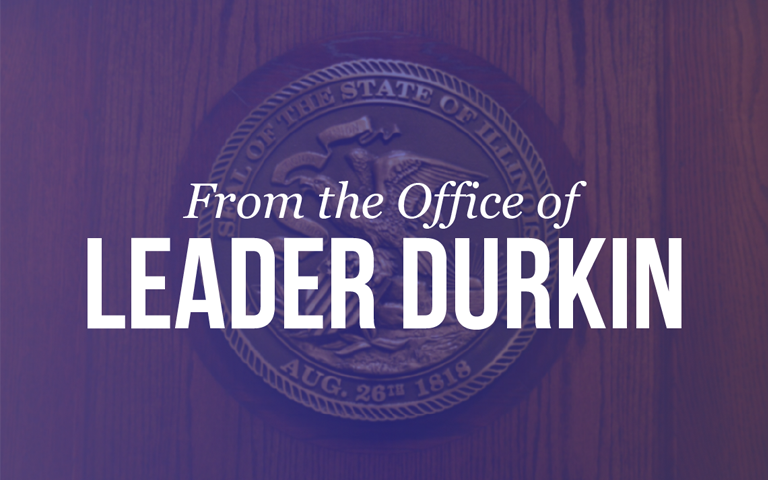 There are other, better ways for Illinois to invest in its future. IMA’s Mark Denzler made his presentation on Tuesday, March 19.